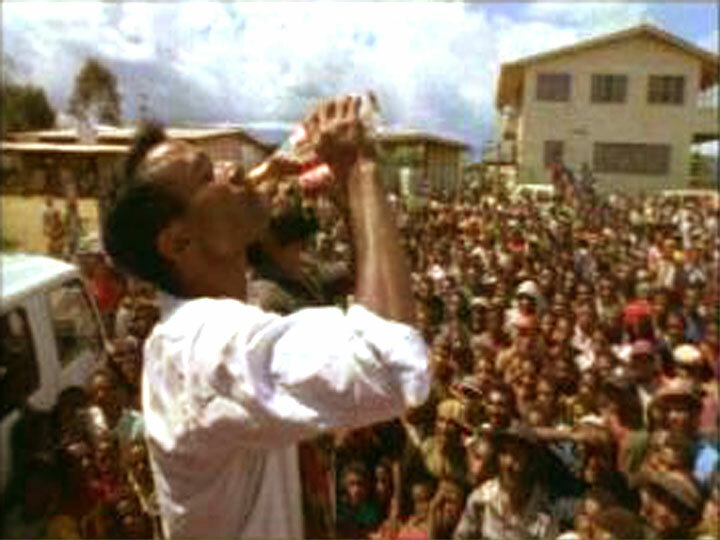 Shot in the U.S., Canada, Russia, England, France, Mexico, Papua New Guinea, the Sahara Desert and China, The Cola Conquest takes us from Coke’s invention by a morphine-addicted Civil War vet to the brink of the 21st century. Along the way, we explore the delicious paradox at the heart of Coke: How does a soft drink, more than 99% sweetened water, come to wield enormous power and assume such significance in so many people’s lives? PART I: The Big Sell. Through a century of image-making with master artists — including the creation of our modern version of Santa — Coke sheds its patent medicine image to become first the drink for young moderns, and finally the most recognized brand name on earth. 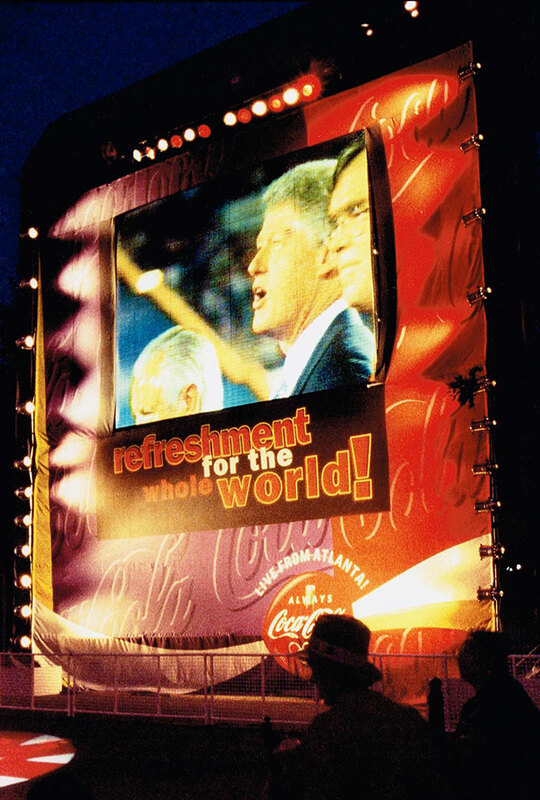 Coke’s success spawns numerous imitators, including Pepsi, which is just another cola until it targets the “Pepsi Generation.” With Pepsi’s launch of the Michael Jackson campaign, the Cola Wars explode. 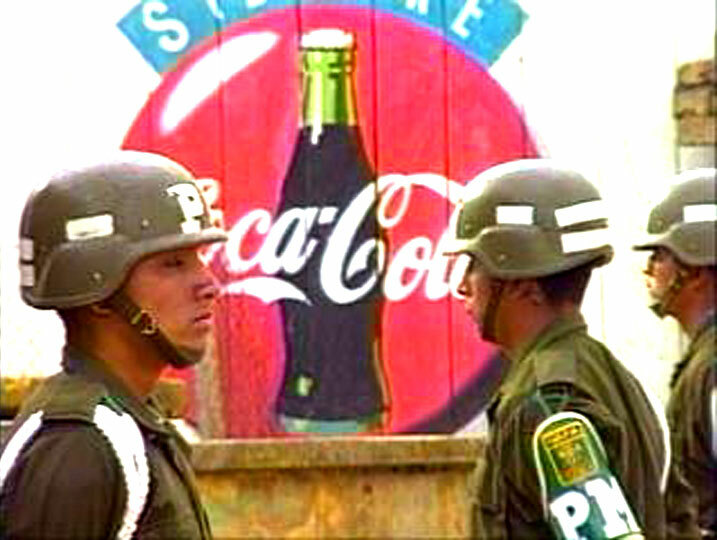 PART II: Cola War and Peace. During World War II, Coca-Cola becomes an essential morale booster for the troops and a worldwide symbol of the American way of life. 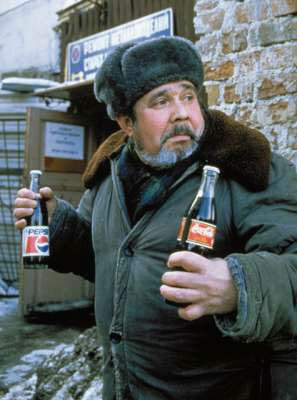 As the Cold War turns frigid, former Pepsi lawyer, Richard Nixon, gives Pepsi a decade-plus jump on Coke behind the Iron Curtain. 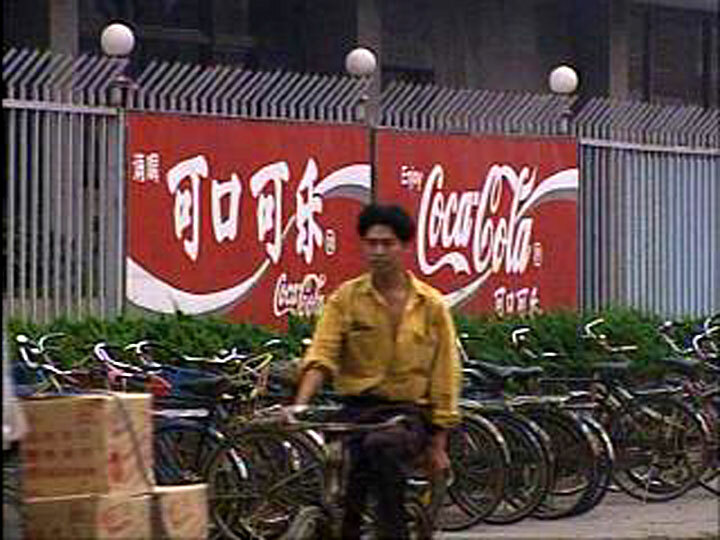 But when the Berlin Wall falls, Coca-Cola is there passing out “the taste of freedom.” Back at home, Coca-Cola plays a significant role in the American Civil Rights movement and offers a Vietnam War-weary nation the ultimate commercial for world peace. 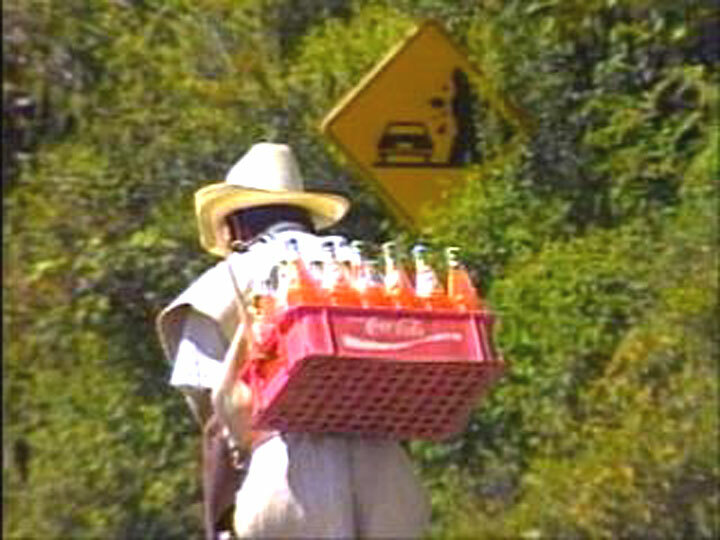 PART III: Cola-Colonization. Tea spills in China, wine in France and blood in Guatemala, as Coca-Cola teaches the world to acquire a taste for “The Real Thing.” But as Coke — and Pepsi — are busy abroad conquering new markets, upstart colas are nipping at their heels back home. 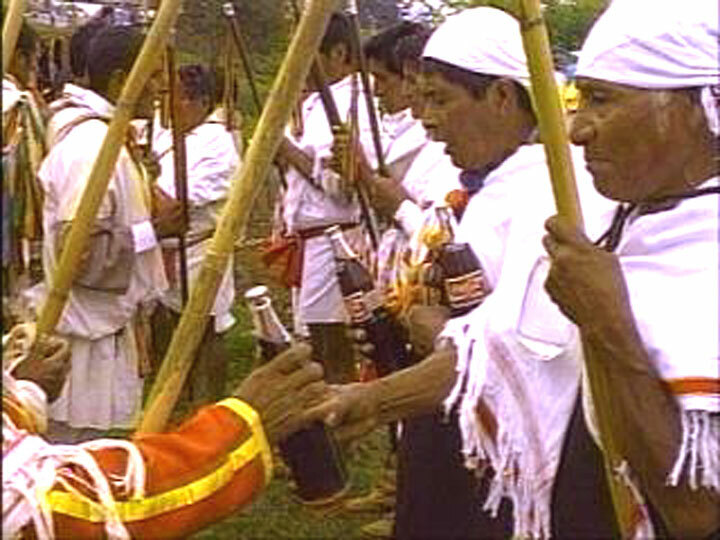 From the jungles of Papua New Guinea to the “Coca-Cola Olympics” in Atlanta, we see the globalization of American pop culture, and corporate influence on the souls of nations. 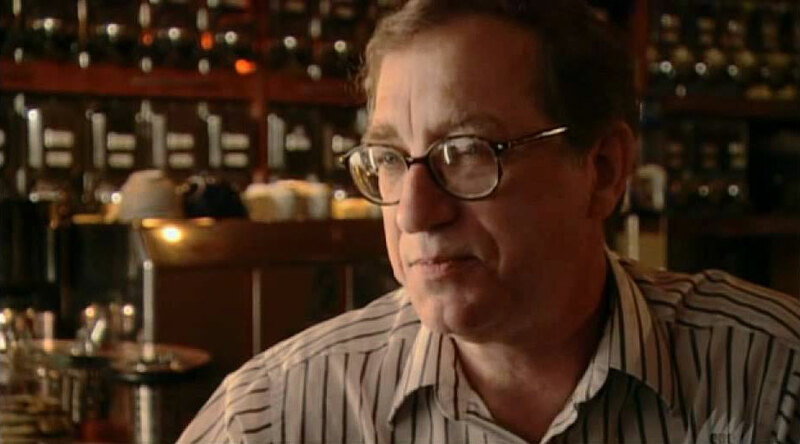 Hot Docs (Toronto), Geminis, Chicago International Television Competition (Chicago), National Education Media Network (San Francisco), Festival Des Films Du Monde (Montréal), DocAviv (Tel Aviv), Mostra Rio de Janeiro Film Festival, International Documentary Film Festival Portugal, Taiwan International Documentary Festival, Shanghai Television Festival, Northwest Film Center, Harvard University. Boldly going where no documentary has gone before. 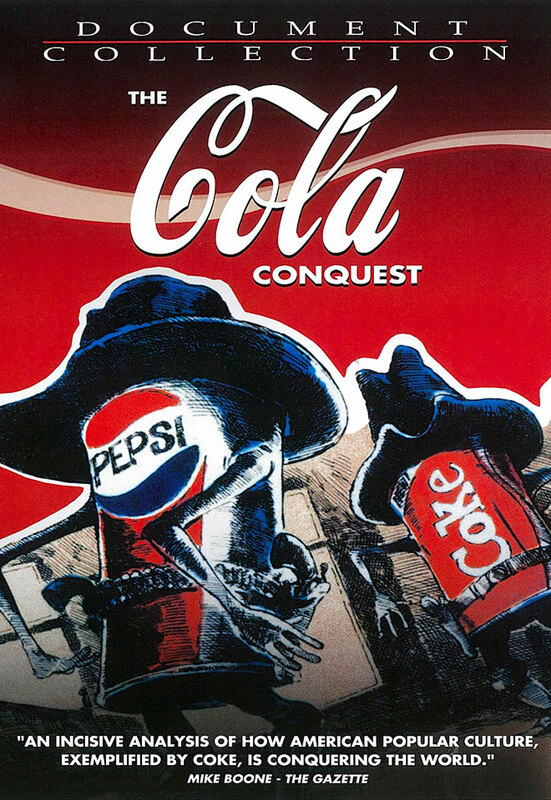 Absolutely captivating… the incisive and brilliant analysis of American society as seen through this grand investigation of a simple soft drink makes The Cola Conquest an exceptional documentary. Controversial and effervescent, The Cola Conquest is a fascinating portrait of manifest destiny in a bottle — and worth watching, even for Pepsi drinkers. How Coke became such a powerhouse is explored with remarkable wit and unsettling insight in The Cola Conquest. 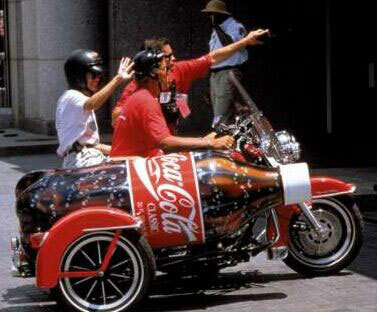 An incisive analysis of how American popular culture, exemplified by Coke, is conquering the world. 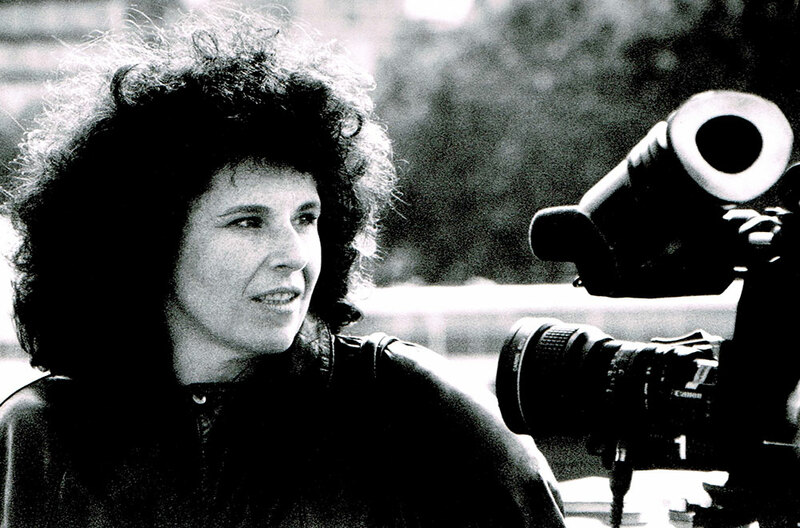 Elegantly edited and often very funny... Angelico's project is as expansive as her subject. 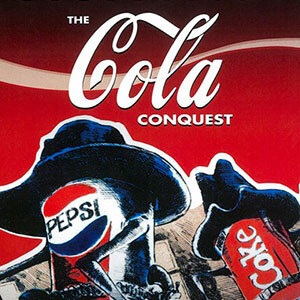 The Cola Conquest is a witty, effervescent tour of soft drink lore.